PAULDING – At the Paulding County Board of DD (PCBDD) January board meeting on Jan. 17, a revised 2016-2019 strategic plan was approved. The vision statement: establishing a culture of community for all, was presented and accepted. Additional updates to the strategic plan included goals being met in community education with contracted services through Savanna Weber. Weber’s services include press releases to the local newspapers, keeping social media channels updated and special projects. Goals were met to financially support self-advocacy efforts and increase the number of trained participants. The community employment goal to explore regional resources for expansion was met by working with the Van Wert County Job Club. Transportation improvement was also achieved through the purchase of a transit van. The van will arrive to PCBDD in the next month, allowing for greater participation in the community and at special events. 2019 annual plan goals include connecting four more individuals to community employment and establishing a job club. Also, enhancing youth transition services after high school graduation is a focus. 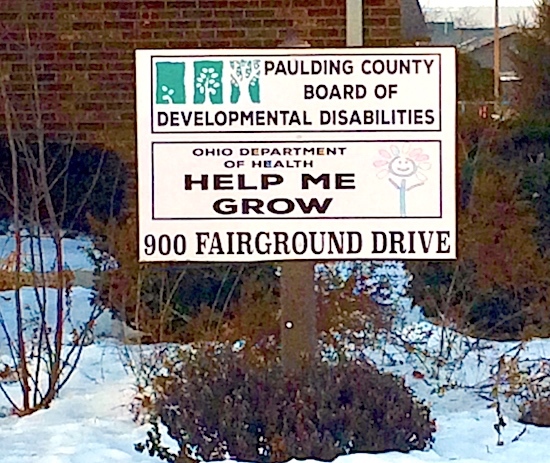 PCBDD would like to grow the number of families that access family support services and funds. The public is invited to the public hearing for the 2019 annual plan on Feb. 21 at 3:30 p.m. in the board conference room at the PCBDD offices located at 900 Fairground Drive in Paulding. Monthly board meetings for 2019 were approved for 4 p.m. on the third Thursday of each month, unless otherwise announced. Marcia Hernandez was elected as the 2019 president and Pam Miller was elected as vice president. Cheryl Farley was elected as secretary. Open bids for the PCBDD water line replacement project were discussed. The board decided to proceed with a study group to review bids in more detail due to the size of the project. Debra Guilford, PCBDD superintendent, reviewed the end of year finances, ending the 2018 year with a budget surplus of $885,036.23. Main factors in the surplus were due to unplanned supported living revenue from a cost settlement and an increase in property tax revenue. Expenses were under budget in the areas of contracted services, supported living and capital improvements. For the final phase of the privatization of adult services, PC Workshop was granted their request of $150,000. Lastly, a motion to commit $347,922.08 as payment for the non-federal share of Medicaid expenditures for home and community based waiver services was approved.